Thank you for participating in the 10th anniversary of the Lindon City Drill. We had a high participation rate of 88.5% citywide! City officials practiced ham radio communication and came together to discuss how to best respond to a large-scale community event, like an earthquake. In addition, five schools held successful emergency drills. Please collect and return all 9/11 yard signs to the Police Department located at 90 North State Street. Block Captains should remain in place and trained throughout the year to help in the event of a real emergency. 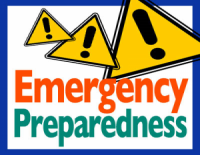 If you have not done so already, please sign up for the Emergency Notification System (Everbridge) on the link below.